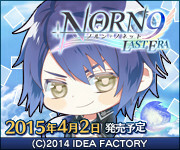 Norn9 ノルン＋ノネット: Ichinose Senri (review+walthrough) | It's a wonderful world! 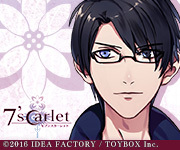 You will first meet Senri if you (as Sorata) chose to go with the weird girl (Koharu) the next day. Your group will try to pick him up from his room because, well, he hadn’t been out of his room for five days already! Yep, he’s the hikikomori of the group (Sorata is like, “I didn’t know that there are already hikikomoris during the Taisho Era!” XD). Senri also has a weak stamina that a little work will make him so tired, that it’s like he’s done enough work for a year LOL XD. Anyways, even though he’s like that, Senri is really cute (and Shimono Hiro yeah \m/), so you (as Koharu) will still choose him as your partner XD. 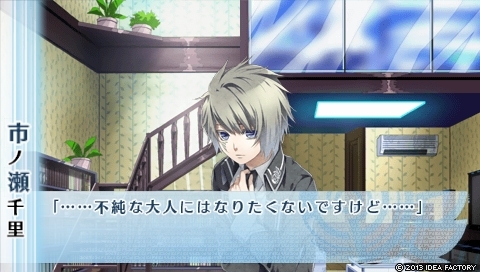 Overall, Senri is so cute and shy but then he’s sweet too! He’s such a cutie (๑´ლ`๑) And he has his witty moments too! Like that conversation with Kakeru (SPOILER! 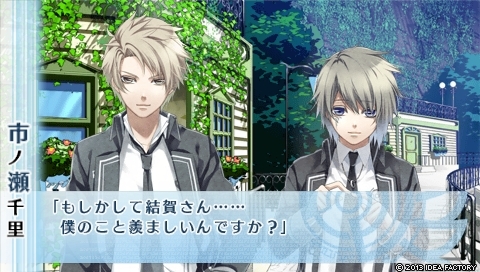 “Oh, could it be that you’re jealous?”) and the other conversation with Natsuhiko (SPOILER! “I won’t let Koharu use her powers. Didn’t you say that you alone can defeat all the enemies?”). 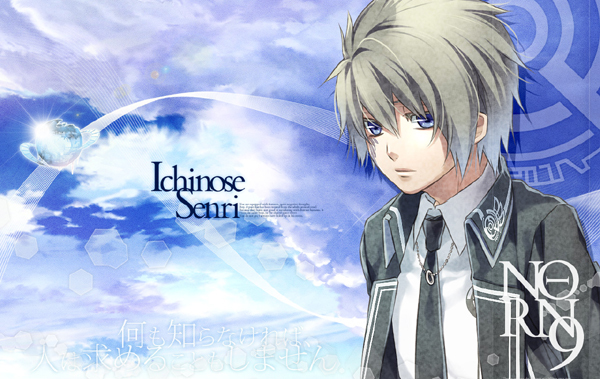 I love Senri! But then, his route was such a drawback. Everything just happened so fast. I think there were enough cute moments with him (in my otome gaming standards) but if you consider that one chapter in his route happened only in a (SPOILER!) dream, his route seems so short. Main story-wise, nothing much was revealed in this route. 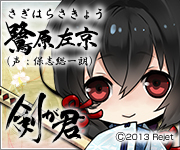 (Well, it was advised that this is the route you should play first if you want to keep the mystery of the game). you had me at Shimono Hiro. omg one more reason to get this game AUGHHHH but I’m still learning the language. My Japanese still fails me sometimes so I’m playing at a really painful pace XD.